The purpose of Round Rock Woman's Club is to further any interests that enrich women's lives. Our membership is actively engaged in community participation and service. 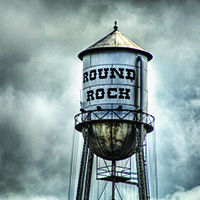 In addition to giving donations to numerous groups in Round Rock, RRWC funds two scholarships which are awarded each year to carefully selected students from Round Rock High School. The scholarships are in honor of deceased RRWC members, Sue Evans and Bettie McNeese. Our primary fundraiser is Soup and Bread, held yearly during the month of February. LIKE Our Soup & Bread Page!